Photograph of the Royal Exhibition Building and Carlton Gardens in Melbourne, Victoria. 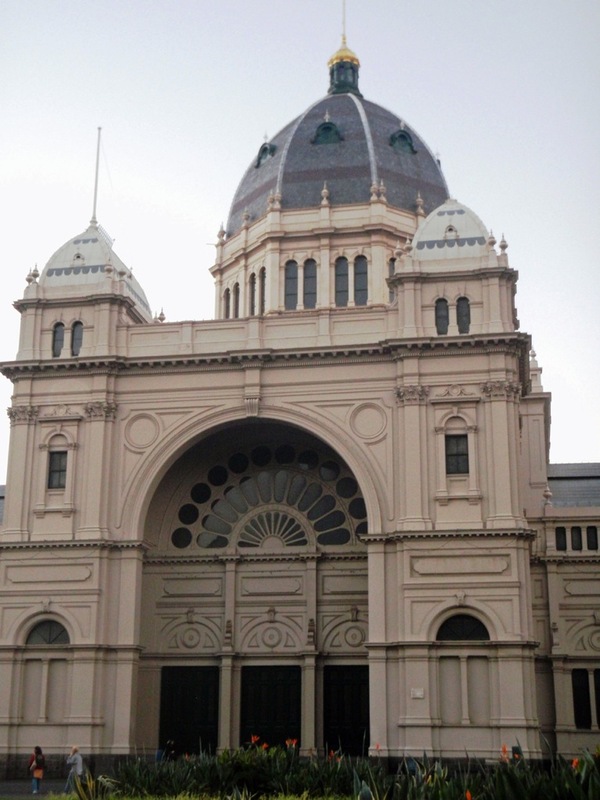 The Royal Exhibition Building was designed by architect Joseph Reed and completed in 1880. The round-arched architectural style of the design combines elements from Byzantine, Romanesque, Lombardic and Italian Renaissance buildings (‘Rundbogenstil’). The dome specifically was modelled on Brunelleschi’s fifteenth-century design for the dome of the Florence Cathedral. Conservation and restoration of the building was completed in 1994, and the Royal Exhibition Building received National and World Heritage listing in 2004. 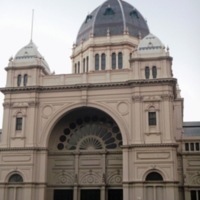 “Royal Exhibition Building, Melbourne, Victoria,” Medievalism in Australian Cultural Memory, accessed April 23, 2019, http://ausmed.arts.uwa.edu.au/items/show/309.